By the time sci-fi writer William Gibson coined the word "cyberspace" in 1982, the real world was already witnessing the gestation -- and eventual birth -- of vast digital communication networks made possible through rapid advances in computer technology. As the personal computer lodged itself firmly in the public sphere, so too was there a fast-paced evolution in internet technologies. And when the new millennium graced humanity with its presence, the Digital Age had already arrived - thoroughly and irreverently entrenched in society. Revolutions in techno science upend the old order and shake up industries of all stripes. The Digital Age was no different -- and one of the most heavily-impacted industries has been advertising and marketing media. In this way, Leo Bogart's 1967 pronouncement was remarkably prescient: "The mass media, as we know them today, are on the threshold of a major technical revolution, with consequences perhaps even farther-reaching than those which accompanied the rise of radio in the 1920s and the '30s and of television in the 1940s and '50s." Traditional advertising approaches were forced to adapt to the pressures of the hip-and-cool vibes of internet marketing. Now, advertisers are often more inclined to look to Facebook and Instagram for promoting their messages -- instead of television and radio, the former capstones of the advertising industry. The world is now digital, and marketing efforts necessarily exist within this digital frame-of-reference. As the CEO of a North American experiential marketing agency, I have a tendency to chronically think about marketing as a whole -- its past, present, and future. 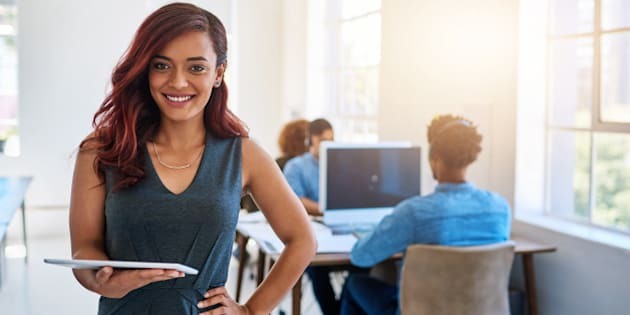 With the explosive growth of internet-based marketing approaches, some executives and marketing managers have wondered about the role of brand ambassadors in this new advertising landscape. Do companies still need brand ambassadors for effective marketing? Or are brand ambassadors rendered obsolete by the Digital Age? Brand Ambassadors in the Digital Age: Irrelevant or Increasingly Important? First, what are brand ambassadors exactly? Definitions vary (depending on who you're asking), but broadly speaking, brand ambassadors are individuals who strongly identify with a brand's values and champion its products and services. The marketing power of brand ambassadors was succinctly explained by Marcus Andersson and Per Ekman: "Ambassadors can...through both their social and occupational roles, get access to target groups that the [corporation] otherwise would not reach." Now then, there are several ways someone could show that brand ambassadors are becoming more important in the marketing arena. For example, ad agencies and corporations alike are increasingly acknowledging the branding and promotional prowess of experiential marketing (not to mention the superior long-term ROI of this kind of marketing). And experiential marketing campaigns demand the use of brand ambassadors who interact with consumers, so there is good reason to believe that brand ambassadors will be a crucial component of tomorrow's marketing. While all of this makes for a compelling argument that brand ambassadors are important despite the digital era, my perspective is that brand ambassadors will become increasingly more crucial to brands because the world is digital. Simply put, digital communications create an increasing need for brand ambassadors -- if brands are to remain relevant, timely, and profitable. To begin, there is mounting evidence that key information technologies -- like Web 2.0 environments, the near-universality of internet service, and so on -- are some of the most powerful drivers of the demand for mass personalization. Mass personalization, of course, means that people -- and thus the marketplace -- increasingly demand that solutions, products, services, and communications be tailored to their specific, individual needs and wants. So digital information technologies represent a kind of feedback loop in the marketing industry: internet-based advertising is particularly effective when it comes to personalized marketing (just consider this case of a Facebook ad that was targeted to a single individual's characteristics and interests) and internet-based technologies are spurring the public's thirst for acute personalization. And because of this desire for personalization, there is something that is becoming more and more critical for the success of a brand: its relationship with its consumers. Mass advertising methods can only build strong relationships with a mass, homogenous audience; but brand ambassadors, on the other hand, can create and maintain relationships on a more micro, more granular level. Digital technology is an excellent medium for maintaining positive relationships between consumers and brands, but ultimately people want connections with a brand to be human and personal - whether online or offline. When you think about it from this perspective, you can see why brand ambassadors will only increase in relevance in this brave new digital world. Because whether a brand is throwing an event or breaking into the online space, brand ambassadors provide an excellent way to create real, personalized interactions between brands and its target audience, resulting in a strengthening of overall brand equity. Marketing in the digital world needs brand ambassadors because the digital world is paving the way for hyper-personalization -- and that's true whether you're swiping through Tinder for a date or indulging in a fun, live brand experience.